Want 3D like you get it in the movie theatre? 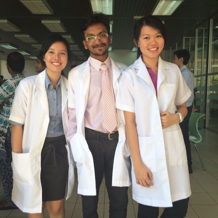 Owning lightweight glasses, cool 3D effects and a great 3D picture experience? Well, you are lucky! 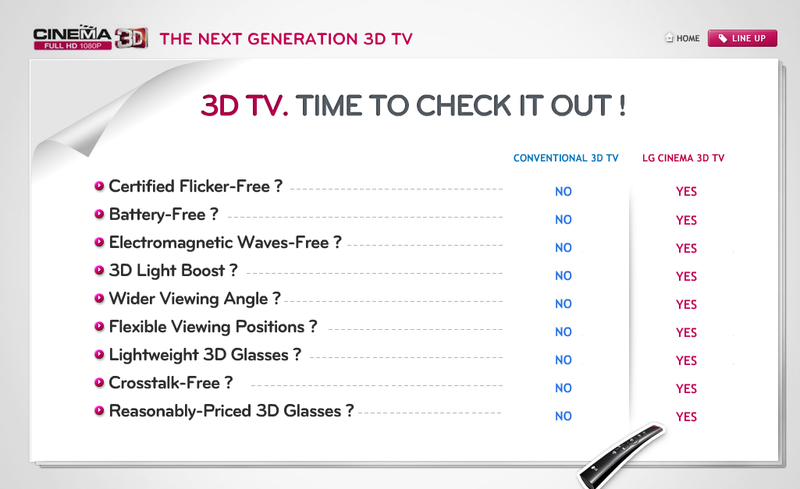 LG's Cinema 3D TV can bring it right into your home! You get to enjoy the easy and share 3D glasses, superior picture quality and amazing 3D effects with an LG Cinema 3D experience powered by LG's Film Patterned Retarder (FPR) technology. When I heard about this new Cinema 3D Smart TV, I was excited cause i can have it at my living room! Cinema 3D Smart TV comes with superb brightness, colour, contrast and motion plus Full HD 1080p in both 2D and 3D too! HOW COOL IS THAT???!!!! Apart from that Cinema 3D TV technology makes LG TVs the choice of the consumers in terms of the comfort, lightweight and affordability of the 3D glasses. The glasses are the same glasses as most cinemas and certified flicker-free which means more comfortable viewing, less stress on your eyes and a sensational, blur-free 3D experience! There's even more! You can have a perfect 3D picture from any angle. 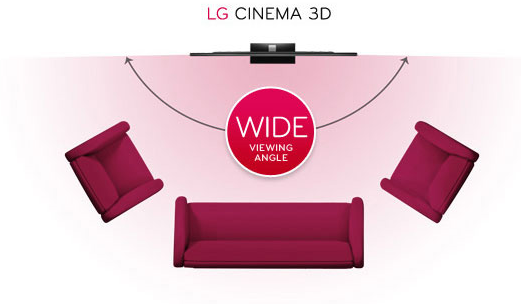 LG Cinema 3D gives you a wider viewing angle which means that you get the same immersive 3D experience virtually anywhere you sit! What's more? You can have more rooms for friends to share in the fun without any problems of viewing the 3D pictures! 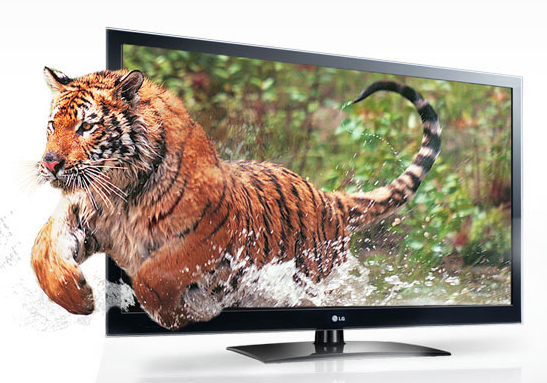 Other that that, LG Smart TV brings the best of the internet directly to your TV without a computer with LG Smart TV. You get to access the best TV from the past seven days with BBC iPlayer, stream films on demand with LOVEFiLM or even check the latest videos on YouTube! With the LG Magic Remote, you can retire your conventional, difficult to use, boring TV and simply point, click, drag and flick for simple control over your entertainment! Click the video below for the advertisement in UK! 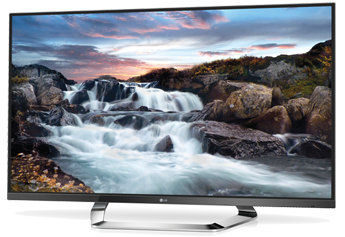 For more information regarding the LG Cinema 3D Smart TV, click at the link below. I can't wait to own one at my home with lightweight 3D glasses! Let's excite your senses with LG Cinema 3D Smart TV!